Merry Christmas, friends! Whether or not this is a holiday you and your family celebrate, I wish you all the joy and peace and love associated with the idealized Christmas. As December is generally a month during which I hike very little (and run quite a lot), the closest I can get to a themed post is to write about trail angels. If you’re not familiar with the term, trail angels are the people out on the trail who make long-distance backpacking possible. Most commonly, all that they overtly provide is some food, but, in doing so, they give us so much more than that. They take away the pain of a difficult day and provide companionship to the lonely. They support and encourage us when we most need support and encouragement. 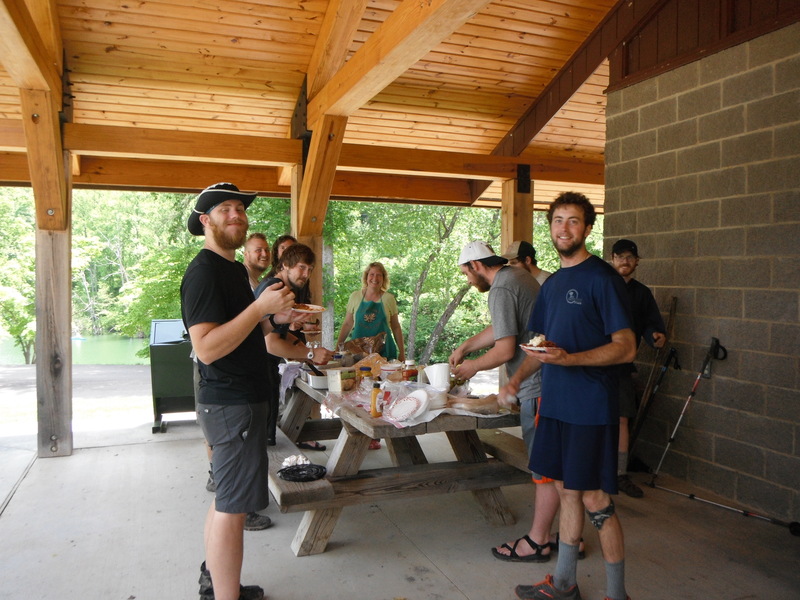 They impress upon us the virtues of generosity and community, virtues that remain with many former thru-hikers for years to come. Interactions with trail angels are some of the most memorable parts of many thru-hikes, and I’ve heard several hikers describe trail angels as part of the reason they have a spiritual connection with the trail. During my time on the Appalachian Trail (not just during my thru-hike), I have been touched by the kindness and “sacred hospitality” (as Unitarian Universalists would say) of the trail angels I’ve met. After my thru-hike, I’ve gotten a few opportunities to act as a trail angel myself, providing “trail magic” to thru-hikers in New England, and I definitely look forward to more opportunities to serve in such a role in the future. If you’re looking to create some trail magic for hikers, know that anything you do will be appreciated. After I’ve told a story of an interaction with a trail angel, I’ve heard some non-hikers say that they’d like to meet and assist thru-hikers but don’t know where to begin. What follows are some ideas for aspiring trail angels. 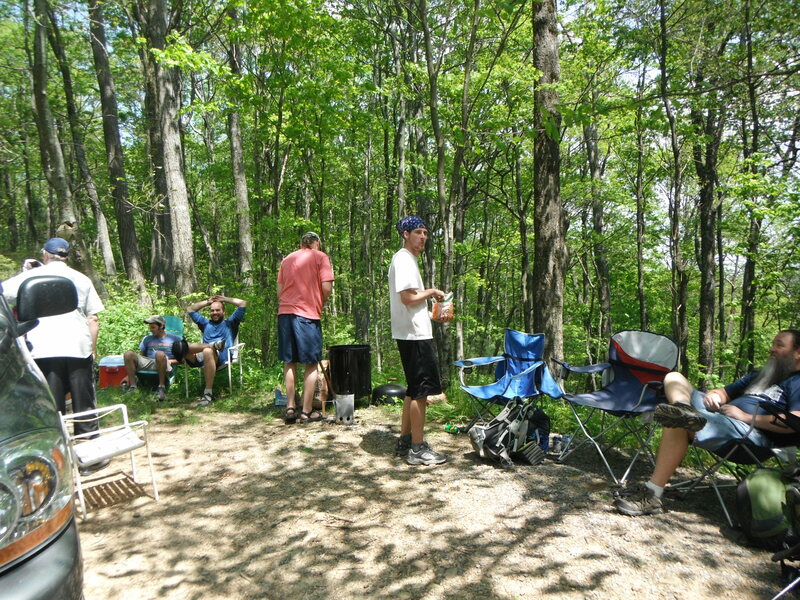 1) Bring foods that are uncommon on the trail. While bags of trail mix and granola bars are appreciated by financially-challenged thru-hikers, foods whose praise doesn’t cease include fruits, veggies, and almost anything that is cooked. 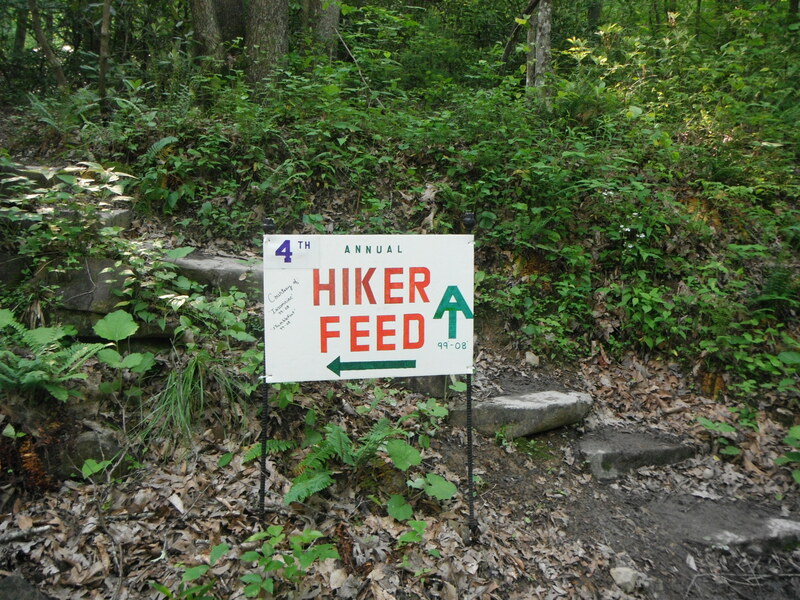 I remember stumbling upon a hiker feed on my way to Damascus before trail days and being absolutely thrilled to eat a veggie dog in the middle of the woods. On another occasion, I found a bag of fresh tomatoes hanging on a trail signpost near a road crossing with a note inviting thru-hikers to partake; I learned of my undying love for tomatoes that day. 2) Consider bringing along extra supplies. If you’d like to go the extra mile, bring some personal necessities with you to the trail. I’ve seen Band-Aids, alcohol swabs, toilet paper, razors, shampoo, toothpaste, ibuprofen, batteries, pens, and plastic bags serve as happy surprises from trail angels to hikers. While we’re on the subject of necessities, I met someone whose trail magic included a solar shower. Though I passed up the offer, given that I’d just showered two days earlier and needed to put in a long day, I thought the shower was an awesome idea; there were a great many hikers who agreed with me and got in line. 4) Transportation is always a winner. If you have a bit of extra time and don’t mind driving, consider offering hikers rides to a nearby town/outfitter/grocery store/hostel. One of the strangest things about being on the trail is how we feel completely independent in the woods but need to ask for help to do most anything when we come in contact with civilization. Case in point: To get anywhere, we need to depend on the kindness of strangers and hitchhike. Arguably, the most magical trail magic I received included a ride to the grocery store and a place to get dry on a rainy day. 5) Remember that conversation can be a gift in itself. 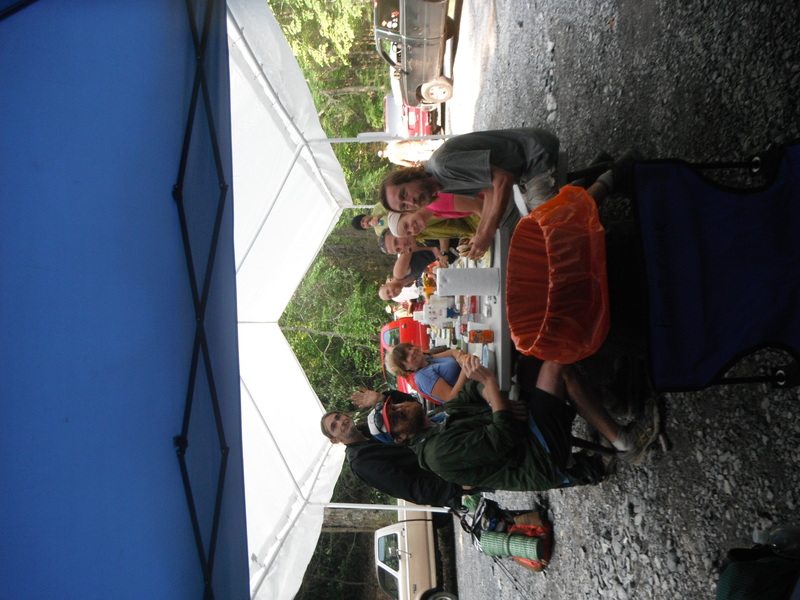 Finally, know that at least half of the fun of trail magic for thru-hikers is our getting to meet the trail angels. Many of us spend a lot of time alone, and the simple pleasure of talking with someone else is so appreciated. Even better, at least in my mind, is conversation that is deep and thoughtful and about big ideas. There’s an old man in New Hampshire who lives just off the trail and offers hikers ice cream, popsicles, and wonderful conversation. Under the Tibetan prayer flags on his porch, I found him wearing an Obama T-shirt, and we spent the next couple of hours talking about everything from his children to hiking to LGBTQ issues. It was beautiful. There are so many touching and inspiring stories with trail angels that I could recount (such as this one or even this one), but I’ll save them for another day. In the meantime, have a wonderful holiday season! And, if you’d like to share, I’d love to hear about the trail magic you all have received and/or provided.